All Washington County teachers, administrators and staff are invited to join us for the 6th Annual Washington County Education Expo at Elkins High School Monday, August 6th from 10:00 AM - 12:30 PM. This Appreciation Day event is held annually to recognize the contributions of the Washington County School District employees. Chamber members are encouraged to participate with a vendor booth to showcase their business services. How can your business or organization participate? Book your company booth now and don't miss this unique opportunity to get in front of the 700+ teachers in the Washington County School District. Participate by purchasing a booth, donating door prizes or sponsoring the event. 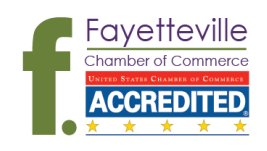 Get twice the exposure when you sign up for the Fayetteville Education Expo on August 11th. Learn more here.